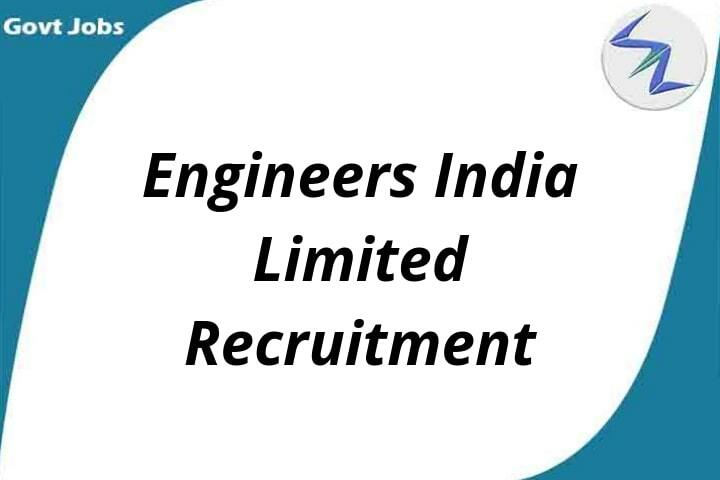 Engineers India Limited was incorporated in New Delhi on March 15, 1965 under the Companies Act as a private limited company under the name `Engineers India Private Limited¿ in accordance with a formation agreement dated November 20,1964 and a memorandum of agreement dated June 27, 1964 between the Government of India (GoI) and Bechtel International Corporation (BIC). In May 1967, EIL became a wholly-owned GoI enterprise. In 1996, the GoI disinvested approximately 6.0% of its shareholding in EIL and EIL became a public listed company. Shri J.C. Nakra is the Chairman & Managing Director of Engineers India Limited. Designation #Consolidated Monthly Emoluments in Rs. Civil Discipline: BE/ B. Tech/ B.Sc. (Engg.) in Civil discipline with minimum 60% marks or CGPA/ CPI as mentioned. Mechanical Discipline: BE/ B. Tech/ B.Sc. (Engg.) in Mechanical discipline with minimum 60% marks or CGPA/ CPI as mentioned. Electrical Discipline: BE/ B. Tech/ B.Sc. (Engg.) in Electrical discipline with minimum 60% marks or CGPA/ CPI as mentioned. Welding & NDT: BE/ B. Tech/ B.Sc. (Engg.) in Mechanical/ Metallurgy discipline with minimum 60% marks or CGPA/ CPI as mentioned in Note below & possessing valid ASNT/ISNT NDT LEVEL II Certification in RT and UT. Instrumentation: BE/ B. Tech/ B.Sc. (Engg.) in Instrumentation discipline with minimum 60% marks or CGPA/ CPI as mentioned. Warehouse: BE/ B. Tech/ B.Sc. (Engg.) with minimum 60% marks or CGPA/ CPI as mentioned. Safety: BE/ B. Tech/ B.Sc. (Engg.) with minimum 60% marks or CGPA/ CPI as mentioned in Note below AND with additional qualification of recognized Degree / Diploma in Industrial Safety with one paper in construction safety (as elective subject). The upper age is Relaxable by 5 years for SC/ST, 3 years for Other Backward Classes (OBC – Non Creamy Layer) and 10 years for Persons with disabilities. Upper age limit is relaxable for Ex-Servicemen.